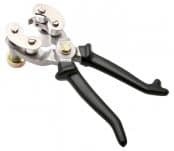 Thorne & Derrick distribute Cable Sheath Cutting Tools for low, medium and high voltage cables – cable stripping pliers are available from stock for the removal of outer cable jackets and sheaths from cables up to 170mm diameter. Tools are suitable for circular and longitudinal cutting of EPR and PVC type cable sheaths from single and 3 core cables. 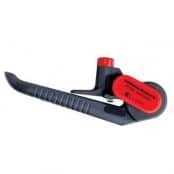 ➡ Should you require customer service or technical support on selecting the correct cable jointing tools please contact us – view the full range of Cable Sheath Cutting Tools below for LV, MV & HV cables.